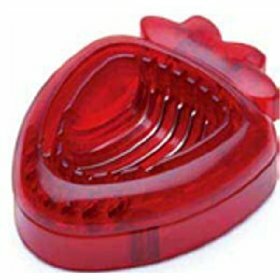 Featured on The Martha Stewart Show and Modern Family For tear-free chopping, mincing, dicing, and slicing of raw onions. The two methods proven most effective in preventing onion-cutting tears are wearing goggles or contact lenses. The Onion Goggles by RSVP are the perfect remedy to cure the “onion effect”. 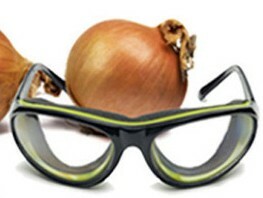 Comfortable foam seal protects eyes from irritating onion vapors. Anti-fog lenses offer maximum clarity. Storage case keeps goggles clean. Available in Red, Pink and Tortoise Frame.